Stakeholder engagement is deeply embedded into OP’s cooperative business model. Dialogue with stakeholders is a prerequisite for OP to succeed in its social role. By listening to our stakeholders, we want to understand their expectations towards OP and then find ways to promote wellbeing in our operating environment. Indeed, one of our priorities in stakeholder engagement is to identify development targets in OP's corporate social responsibility. We assess stakeholder views and engagement through various surveys and feedback requests. OP has established an informal stakeholder forum in order to ensure even better dialogue with stakeholders. In 2016, OP carried out a stakeholder survey on CSR themes as part of its CSR Programme update, read more about the materiality analysis. Personnel OP employees expect their employer to provide training and development opportunities and equal treatment. The whole OP personnel in Finland and abroad is covered by performance and career development reviews. The Group wants to provide equal working opportunities for women and men. Employees’ experiences of equality are regularly monitored using personnel surveys. Owner-customers and customers Owner-customers expect to benefit from OP's success by, for instance, receiving OP bonuses and other loyalty benefits. Customers expect us to deliver the best possible customer experience. As a cooperative company, we maximise the financial benefits for our owner-customers in proportion to their use of our services. We want to offer the sector's best loyalty benefits. Through participation in administrative bodies, our owner-customers have a strong representation in OP Financial Group's decision-making.In addition, our customers are at the core of all our product and service development. Investors Investors expect OP Financial Group to demonstrate strong creditworthiness, a stable financial position and reliable repayment capacity. OP Financial Group's investors include holders of Profit Shares issued by cooperative banks and holders of debt instruments issued by Group companies. After the delisting of Pohjola shares, the Group has continued its financial reporting to the same extent as listed companies, while the IR function is responsible for maintaining relations with debt investors. Representative assembly and administration Members of cooperative banks' administrative bodies expect up-to-date information and training in financial issues and matters affecting the bank's operations. An extensive skills enhancement project is underway in OP Financial Group, with the aim of creating a comprehensive competence development package for various administrative positions. The objective is to provide members of administrative bodies a real window and opportunity to increase their competencies and build a career path within administration and governance. Local and regional communities Local and regional communities expect OP to demonstrate a strong local approach and community spirit, manifesting particularly through the cooperative banks. The banks organise a variety of events for different stakeholder groups, including school visits to promote financial literacy, lectures, customer events and traditional Hippo sports competitions for children. Many cooperative banks also support local sports clubs, cultural events, charity causes and entrepreneurship. OP is taking part in banks’ joint project to improve young people's financial literacy. Media The media expects timely transparency and service, and dissemination of material information. OP executives and experts meet media representatives, answer questions and initiate discussions in various channels. OP has an active social media presence. Mainly present on Facebook and Twitter, OP is also developing its own media. Schools, universities and the scientific community Educational institutions expect OP Financial Group to share its professional knowhow and provide opportunities for practical training and thesis work, among other things. We participate in several cooperation and recruitment events of universities and universities of applied sciences throughout Finland. In 2016, we provided numerous practical training and summer job positions and thesis opportunities for students. OP supports educational innovations through the HundrEd project as one of its main partners. In 2016, we decided to donate a record high of EUR 6.3 million to Finnish universities. Non-governmental organisations NGOs expect OP to demonstrate transparency and an active approach in corporate social responsibility matters. OP is seeking to maintain active CSR communications and to respond to information and discussion requests. If necessary, the Group's Identity and Communications function reports stakeholder concerns to the senior management. In 2016, OP announced its gift to the 100-year-old Finland: 100 person-years of volunteering, through which OP cooperates extensively with NGOs. Industry associations and labour market organisations Through cooperation, the financial sector expresses its views on pending legislative changes and proposals for authority rules and regulations and aims to increase the sector's influence with common projects. Based on its new strategy, OP is gradually transforming from a financial services group into a diversified services company. In 2016, OP withdrew from the Federation of Finnish Financial Services and joined the Service Sector Employers Palta. OP also has an active role in international industry associations, such as the European Association of Co-operative Banks (EACB). Decision-makers and authorities OP Financial Group annually receives numerous requests for statement and expert invitations to hearings, enabling the Group to express its views on proposed amendments affecting its operations. 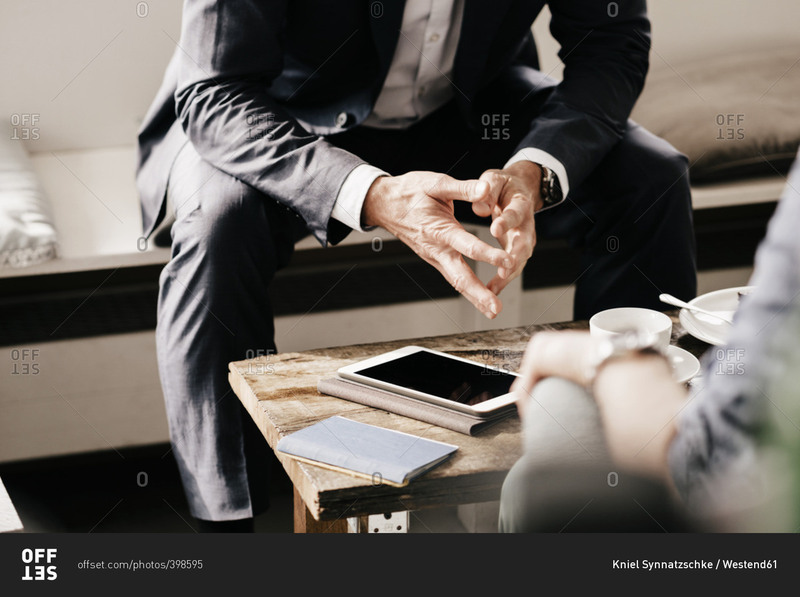 OP Financial Group actively conducts dialogues and cooperates with Finnish authorities, ministries and government officials regarding topical legislative projects. The Group also meets and informs members of the European and Finnish Parliaments concerning the effect of legislative projects on the Finnish financial sector. In 2016, OP establish a Regulatory Affairs Management unit that will supervise OP’s interests in legislative projects. In its social role, OP aims to identify influencing methods generating positive effects on Finnish society and economy, too. 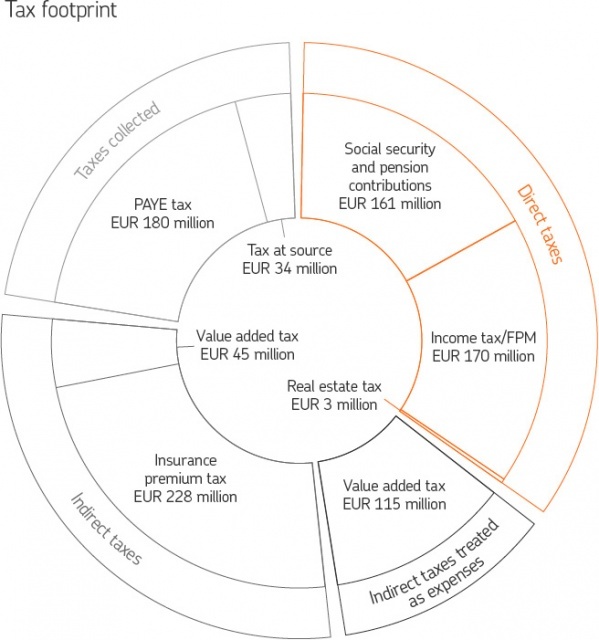 Since OP wants to increase transparency, it reports for the first time its tax footprint in its major tax categories. OP’s taxes consist of indirect and direct taxes and taxes collected. Indirect taxes include income tax, real estate tax and fiscal charges paid directly by OP. Indirect taxes include the value added tax and the insurance premium tax. Taxes collected include taxes collected by OP as the remittance payer and forwarded to the state, such as tax withheld from payroll and tax at source withheld from interests. The mediation and sales of financial services is free of VAT. Thus, it does not generate the obligation to pay VAT, nor does it entitle to make VAT deductions on purchases. However, OP Financial Group member cooperative banks and other companies are liable to pay VAT on their other business. Taxes included in the tax footprint were calculated on an accrual basis.